Since our earliest days, The Salvation Army has acknowledged a need to support those serving in the armed forces. At first, efforts were focused around Salvationists. Established as the “Naval and Military League” in 1894, Officers of The Salvation Army made regular visits fellow Salvationists to offer the comforts of home and minister to their needs. But in 1899, with the outbreak of the Boer War, it became apparent to Salvation Army founder General William Booth that there was a need to offer welfare to all servicemen. General Booth felt deeply about not only Christian brotherhood but the internationalism of The Salvation Army. Guided by this belief, he promptly sent a relief party to "minister comfort and practical aid to men of both armies - British and Boer alike." This began a tradition of The Salvation Army coming alongside the military in times of peace and conflict. In Australia, the Red Shield Defence Services were established as a response to the start of World War 1 in 1914. Salvation Army chaplains were sent all over the world, to offer practical, emotional and spiritual aid to servicemen. Chaplain-Major William “Fighting Mac” McKenzie is perhaps the most famous military chaplain of this time. A Salvation Army officer of tireless faith and great courage, he offered spiritual guidance, practical comfort and words of encouragement in the midst of unimaginable death. He followed the men into combat, carried the wounded to safety and buried the dead. Fighting Mac embodied the spirit of what would come to be known as the Sallyman. Walking willingly onto the battlefield to stand in service of those who serve. 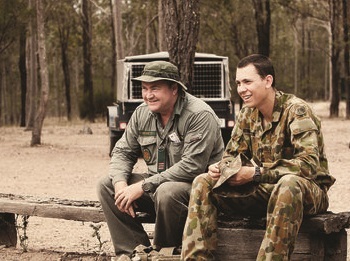 For soldiers, to be met by the Salvos instead of bullets was a comfort beyond words. 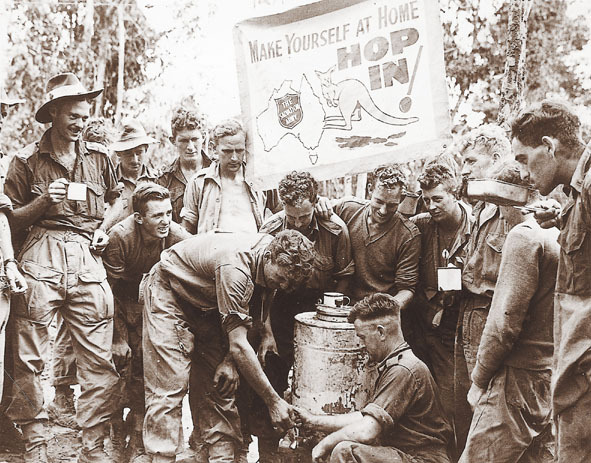 Since World War 1, the Red Shield Defence Services have been present at every major conflict, ready to minister comfort and provide aid to Australian servicemen and women often experiencing the worst moments of their lives. Today, the Red Shield Defence Services continue to be a positive presence in Australian military life, proudly serving those who serve.